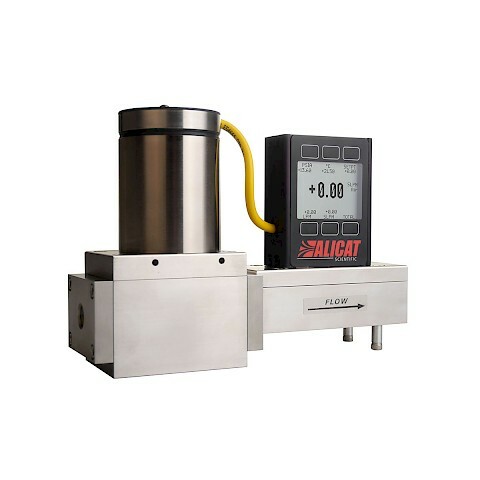 The Alicat MCD Flow Controller is a world first in that it is a bidirectional mass flow controller. 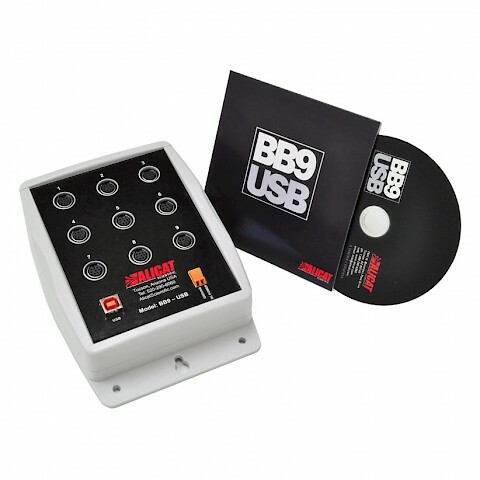 The controller allows you to control flow into your process in one direct and then completed switch directions. Alternatively control flows into a closed process and then vent the volume with no need for additional bleed valves. With one device you may measure mass flow and volumetric flow in both directions whilst also measuring absolute pressure and temperature. Control mass or volumetric flow from a pressurised source or from vacuum or alternativly control absolute pressure in a flowing process or closed volume. 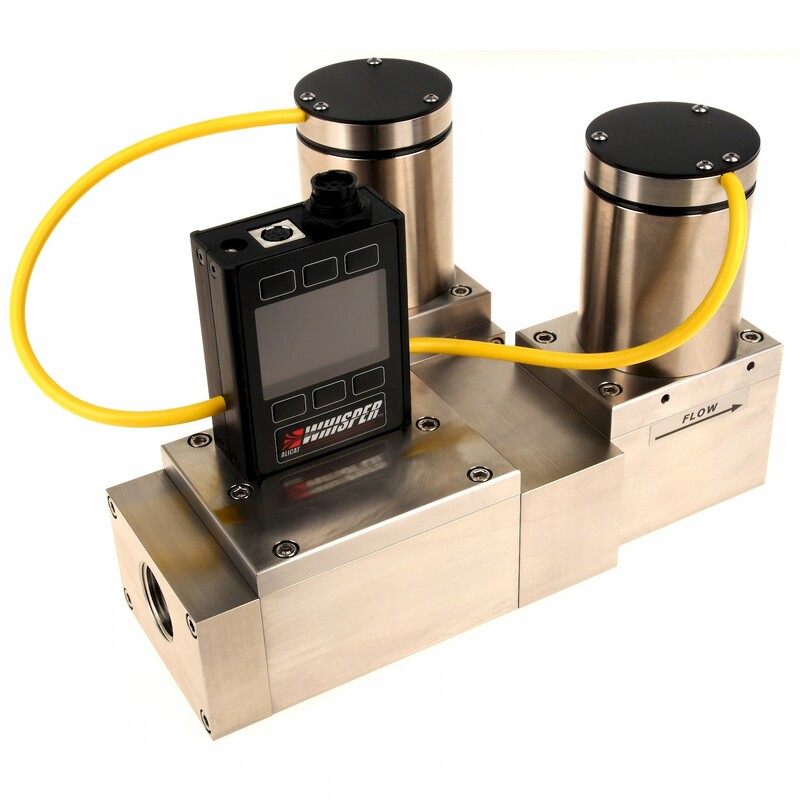 The MCD mass flow controller is repeatable and accurate with calibrations up to +/- 0.4% of reading accuracy and every whisper device has a 200:1 turndown ratio with flow rates starting from 2.5 microliters per minute up to 3000 SLPM. The mass flow controller can be used as a standalone controller with the use of local display and push button keypad. 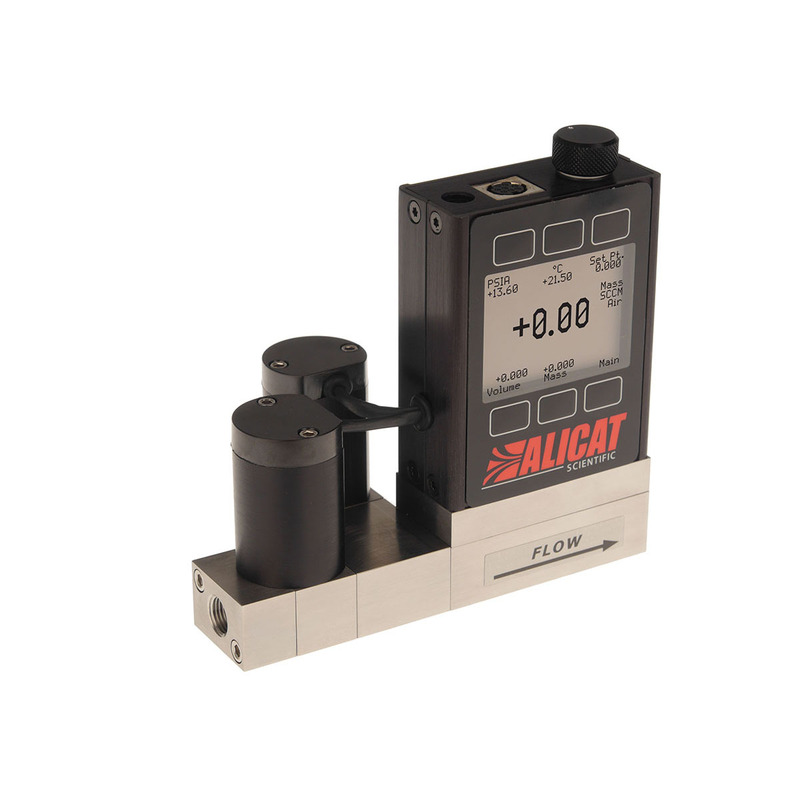 The local display allows the user to see all flow data visible on one screen (mass flow, volumetric flow, absolute pressure, temperature) as well as control the flow or pressure of the gas. RS-232 communications are standard as well as an analogue output signal such as 4 – 20 mA. A colour TFT display is an option. 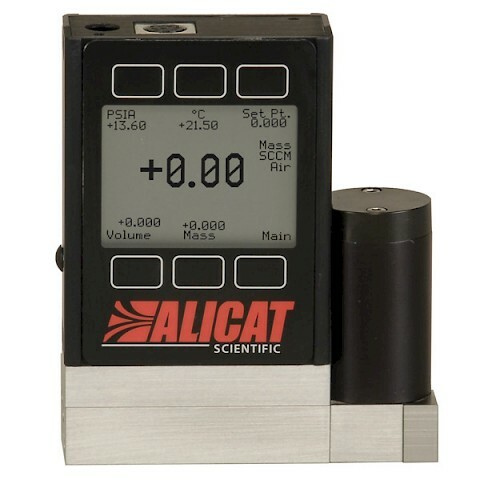 Alicat MCD series bidirectional mass flow controllers have a maximum operating pressure of 145 PSIG. There is fully adjustable PID control valve tuning for best speed and stability. Other output options and communication protocols are also available. The MCD is also available for use with aggressive applications with anti-corrosive 316L wetted parts and FFKM seals (Model MCDS). Leaking of DUTs at positive and negative pressures with a single device.